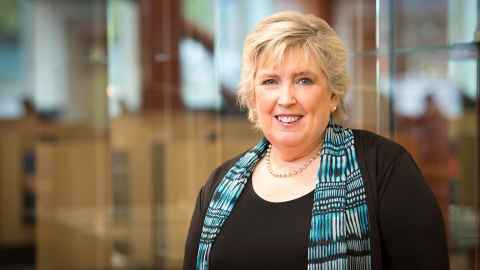 Named a Dame Companion of the New Zealand Order of Merit in the New Year Honours capped off an outstanding 12 months for Dame Professor Margaret Brimble. In May last year she was elected a Fellow of the Royal Society of London, the first New Zealand-based woman scientist to join the ranks of the world’s oldest scientific organisation. She was also awarded the 2018 George & Christine Sosnovsky Award in Cancer Therapy from the UK Royal Society of Chemistry for developing a novel innovative chemistry platform for the development of cancer vaccines. Dame Professor Brimble’s work in medicinal chemistry is internationally pioneering and she is one of very few women working at the forefront of leading-edge research in drug discovery. Her discovery of the drug candidate NNZ2566, or Trofinetide, currently in Phase Three human clinical trials, has the potential to be the first-ever therapy for the rare neurological disease Rett Syndrome and for another rare genetic disorder, Fragile X syndrome, which causes a range of developmental problems, mostly in boys. Born and raised in Auckland, Dame Professor Brimble enrolled at the University of Auckland in two minds as to whether she would study Arts or Sciences. A “logical and organised” chemistry class persuaded her to take Chemistry and a Science degree in her second year. She won a Commonwealth Scholarship to do her PhD at Southampton University and made an antibiotic that treated coccidia infections in poultry. She returned to New Zealand to a lectureship at Massey University and from there to Sydney University where she was promoted to associate professor. After becoming pregnant with daughter Rebecca, she and husband Mark decided to return to the University of Auckland where she set up New Zealand’s first medicinal chemistry degree. Among a raft of top prizes and medals and membership of the leading chemistry research organisations worldwide, she also established New Zealand’s first pharmaceutical manufacturing facility which is now licenced by Medsafe NZ and which produced clinical grade antigens for the MELVAC melanoma vaccine trial in 2014. She is a strong advocate for encouraging young women to consider science as a career and is considered a superb mentor to her many postgraduate students, able to convey her enthusiasm for science and its potential to improve the lives of countless numbers of people. Dame Professor Brimble is Chair of Organic Chemistry and Director of Medicinal Chemistry at the University Principal Investigator in the Maurice Wilkins Centre for Molecular Biodiscovery.